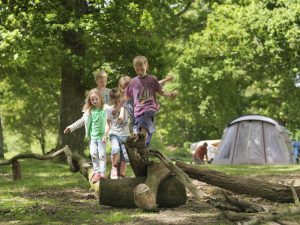 Outside is the biggest adventure playground a child could wish for – which is why camping is so exciting for kids of all ages. As a family we’ve had so much fun camping and being together in the great outdoors. Often simplicity is best. Here are our top picks of what to look for in campsite. 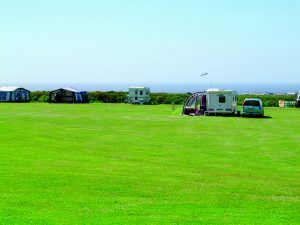 Whether it’s for just for a couple of nights or a whole week visit www.campingandcaravanningclub.co.uk to find your perfect spot. 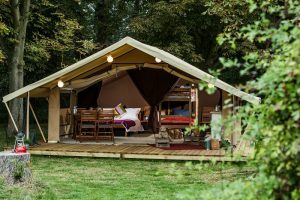 There’s simply nothing more enchanting than camping within the peace and quiet of a woodland setting. Kids will love exploring the forest. And parents will love escaping the hustle and bustle of modern life. 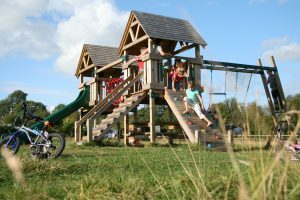 Having a play area on site is a great idea if you’re camping with younger children. Some sites have adventure playgrounds, trampolines or even outdoor chess and swimming pools. Perfect for keeping children entertained and also meeting other little campers. Combine beach and camping by picking a campsite near the coast. Days can be spent on the beach and evenings looking out to sea. 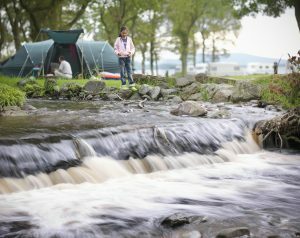 For pure relaxation and exhilaration for those into water sports what better than a campsite that is right next to water; be it a lake, loch or river. Great fun for older children (and adults who love mucking around on boats) for Swallows and Amazon style adventures.